“Just because you’re related doesn’t mean you can relate” – this is the message conveyed in the trailer released for the upcoming comedy drama 3 Generations, starring the three of the most acclaimed actors of their generations, and set for a limited theatrical release this spring, on May 5. 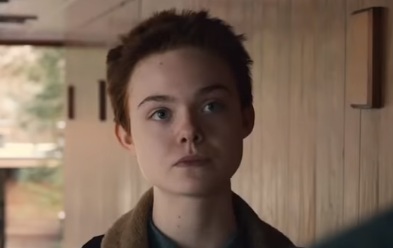 Written by Nikole Beckwith and directed by Gaby Dellal, the film revolves around New York teenager Ray (played by Elle Fanning), raised by her single mother, Maggie, (Naomi Watts), her grandmother, Dolly (Susan Sarandon), and her grandmother’s girlfriend, who prepares to transition from female to male. The trailer features Ray’s family trying to come to terms with her decision, without losing their sense of humor, though. “You can’t make jokes out of my mistakes”, says Maggie to her mother while looking through old pictures, looking for Ray’s biological father, who must give his legal consent for Ray to undergo the operation. “That’s exactly what you’re supposed to do with mistakes”, answers Maggie’s mother. “Why can’t she be a lesbian?”, asks Dolly in another scene, receiving in response the explanation: “Cause she’s not a lesbian, she’s a boy”. “I just want to be normal”, says Ray, getting up from the table, after having had dinner with her family. “Why is normal the goal?”, asks her grandmother, adding that she should aim to be authentic. makes the latter aks her if she’s “breaking up” with her right in that moment. The song used in the trailer is the single “Life of the Party” by Canadian singer and songwriter Shawn Mendes, from his 2014 album “Life of the Party”.